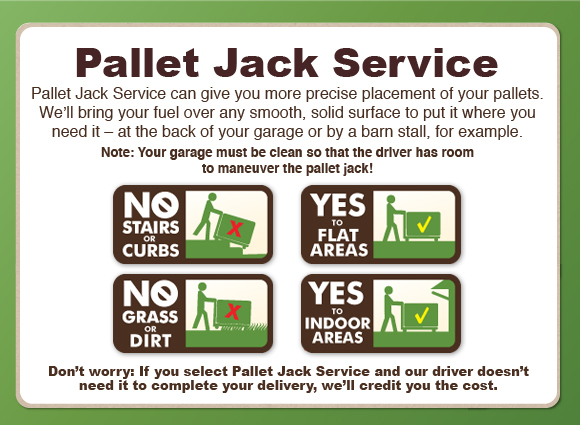 Our wood pellets are priced by the ton, but are delivered on pallets (or skids) that sometimes hold more than one ton. We do that because it’s more efficient to ship that way, and we're able to pass those savings on to you. Plus, many customers like having a taller skid that takes up less floor space in their garage.